Imagine that you’re planning an incentive trip for yourself and 20 of your top customers or employees. Where would you go? I could say that money isn’t a factor, but of course it is, so your choice would need to consider a somewhat limited budget (for the sake of the thought experiment, we’ll suggest the average incentive budget of around $4,000 per-person). Now, you could choose a bucket-list destination, like the Galapagos Islands or a safari in Kenya, but these, while admittedly amazing, probably come with a price tag above what you’re willing to pay. On the other hand, you could take the path of least resistance and choose a place that’s familiar and easy to get to. For Americans, this would be Mexico, the Caribbean, or possibly somewhere domestic. But while these spots are certainly great, you might run into the issue of having to sell your participants on a destination they’ve already been to, maybe even on a previous incentive trip! Well, even if you include all of your bucket list destinations and all of your path-of-least-resistance destinations, that still probably would leave roughly 80% of the world to consider for your hypothetical incentive trip. Some places are too far away (sorry, New Zealand) or too hard to get to (you have always wanted to go to Tibet). Others might not have the infrastructure in place to support a group trip, might be considered too risky for some Americans, or simply don’t stimulate the imagination enough to inspire great performances. There must be some places that fit what you’re looking for, though, right? Iceland may not immediately come to mind as a great incentive travel destination, but that doesn’t mean it can’t get the job done, and in spectacular fashion. Consider this: Iceland is one of few places on earth that has both volcanoes and glaciers, as well as incredible, world-renowned geothermal pools that look like hot springs from another planet. It boasts a vibrant, cosmopolitan capital city, with numerous 4- and 5-star hotels like the Hilton Canopy and the Marriott EDITION hotel, the latter of which is set to open this year. It now also offers affordable, relatively short nonstop flights from a number of major East Coast cities, and can be particularly cost-effective if you avoid traveling during the high season. Finally, don’t let the name fool you: comfortable weather in Iceland can be found as early as March and as late as October. Even in the colder winter months, visitors have the opportunity to see the breathtaking Northern Lights, killer whale migrations, and more. The days of Pablo Escobar and drug cartels have long since passed in beautiful Colombia. What’s more, ever since 2016, when a historic peace deal was signed between Colombia’s national government and communist rebels, the country has revitalized its public image, growing into an attractive international location with a reported 5 million tourists visiting the country in 2016 alone. Today, Colombia is one of the most up-and-coming incentive travel destinations in the Americas, with gorgeous cities like Medellín, Bogotá, and Cartagena to explore, not to mention some of the most biologically diverse national parks in the world. Add to this the delightfully balmy weather of the Caribbean, affordable 5-star accommodations, and frequent nonstop flights from numerous U.S. cities. It’s easy to see why an increasing number of incentive trip planners have begun to keep an eye on this amazing South American nation. Paris, Italy, Greece, and London all probably top the list of most popular European destinations and that’s exactly why you should consider places like Austria, Croatia, or Slovenia for your next incentive trip. Far less crowded and a good deal cheaper, these oft-overlooked Eastern European getaways still have lots to offer. For example, Italy sure seems like a dream location for an incentive trip, but if you look across the Adriatic Sea to Croatia, you’ll find a country that’s equal parts charming and beautiful, boasts nearly as much Roman history as Rome itself (the seaside city of Pula even features a 2,000-year-old Roman amphitheater, one of largest and best maintained in the world), and can be explored for nearly half the price of it’s more highly trafficked neighbor. Or if you’re seeking a chic and sophisticated city for your incentive trip, Vienna, Austria could be the perfect fit. Home of the famed Hapsburg dynasty and considered by some to be one of the birthplaces of modern Western thought, Vienna’s cobblestoned streets are filled with imperial art museums, world-renowned classical music venues, impressive baroque-style architecture, and more. 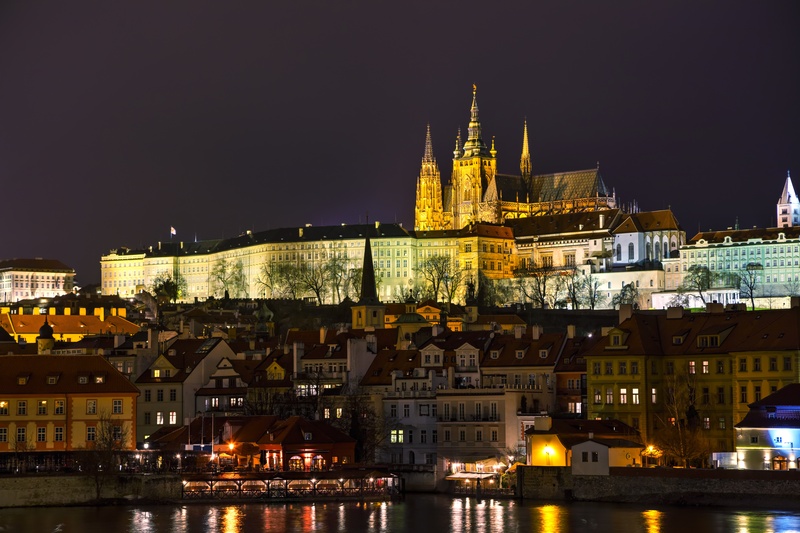 Offering better weather than London, cheaper accommodations than Paris, and nonstop flights to a number of major American cities, this Eastern European gem could become the site of your next great incentive trip. We’ll let you decide! Which of the three under-the-radar incentive travel destinations would you most like to visit or bring a group to? Interested in impressing your audience with an under-the-radar incentive trip? Contact us at 888.220.4780 or marketing@hmiaward.com for a quote or to find out what such a program might look like logistically.